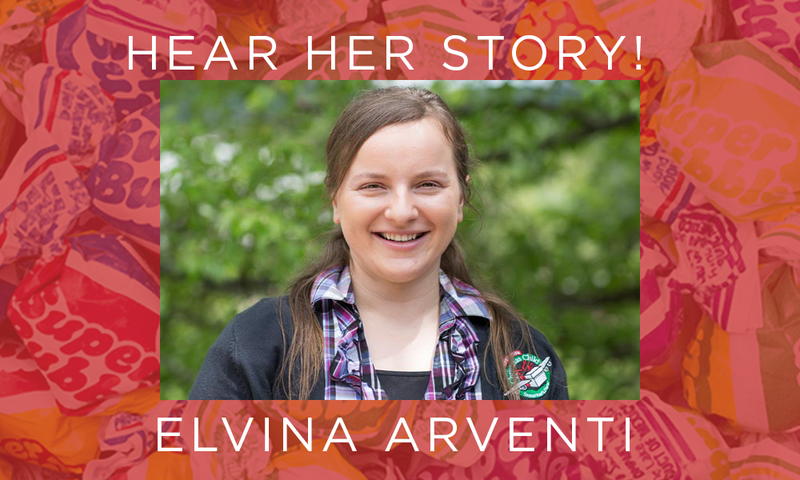 Come hear the testimony of Elvina Arventii who grew up in a big Christian family of nine in severe poverty in Ukraine. It was very hard for her parents to find jobs that would support such a big family. Having new clothes and toys was just a dream. If they ever wanted anything, all they could do was pray for it. In the winter of 1995, when she was only 7 years old, Elvina’s prayers were answered through Operation Christmas Child. Receiving a shoebox helped her build her hope and trust in Jesus Christ who could do little miracles in her life. The most exciting items in Elvina’s shoebox were candy, notebooks, gum and a beautiful baby doll. She chewed her gum for weeks pasting it to the headboard of her bed each night. She did the same thing with the lollipop she received – she liked it a couple times than wrapped it back up to make it last for a long time. Elvina considered her shoebox to be her very own treasure! The shoebox allowed Elvina for the first time in her life to understand that God is real, He loves her, and listens to her prayers. Today Elvina volunteers on the Fresno area OCC team as a Church Relations Team Member. Elvina will be bringing the message at all worship services the weekend of 12.10.16 and 12.11.16.